The Under the Sea Corner classroom carpet is ideal for rooms with limited space. Perfect for use in schools, pre-schools and nurseries. 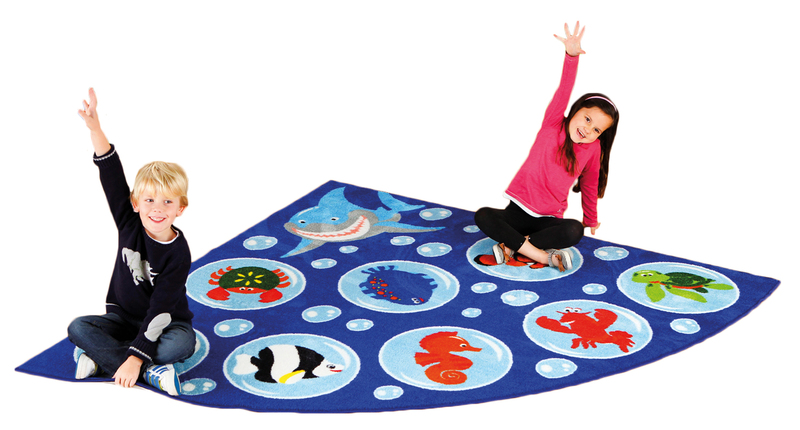 This interactive learning rug features clearly identifiable sea creature placement spots for up to 8 children, and a spot for the teacher. The brightly coloured carpet features a radial seat configuration which is ideal for group teaching activities, reading or as a themed play area.